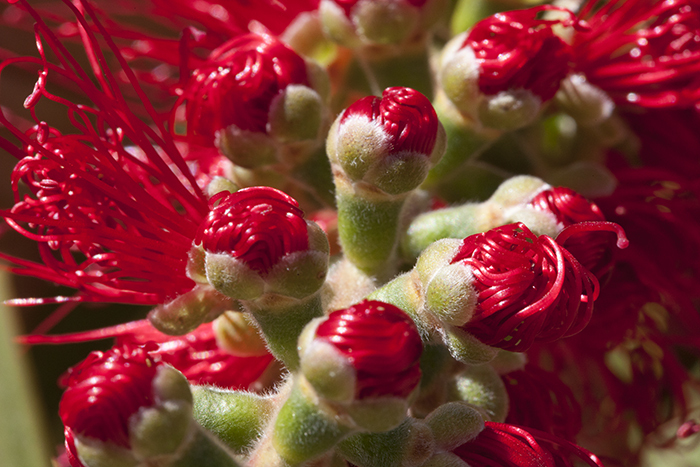 As I was waiting to meet someone to pick up my order of raw local honey, I saw these bottlebrush trees ripe for macro. I never knew that the "bristles" start up as balled up pods that eventually spread and straighten. WOW! Amazing! I didn't know those existed. Yeah I know! These were the only ones I found actually.